Participate in at least two additional (for a total of at least four) Tier II or Tier III adventures at the crew, district, council, area, regional, or national level. Serve as a leader for one of the adventures. Since earning the Discovery Award, serve actively as crew president, vice president, secretary, treasurer, guide, historian, den chief, or quartermaster for a period of at least six months. ** At the beginning of your term, work with your crew president (or Advisor, if you are the president) to set performance goals for the position. Any number of different positions may be held as long as the total length of service equals at least six months. Holding simultaneous positions does not shorten the required number of months. Positions need not flow from one to the other; there may be gaps in time. Once during your term of office, discuss your successes and challenges with your crew president (or Advisor, if you are the president). Since earning the Discovery Award, explore the two areas (Development of Faith,* Development of Self, or Development of Others) that you did not explore previously. Based on what you discover, prepare a set of personal reflections or thoughts on the subjects. Use your reflections and what you learned from the process to prepare for fulfilling Personal Growth requirement 7 and for your Pathfinder Award Advisor conference. Participate in an ethical controversy discussion activity that includes an extension into conflict resolution. In consultation with your Advisor, establish at least two personal goals and achieve them. The goals should be grounded in the areas you explored in Pathfinder Personal Growth requirement 5. Plan, organize, and give leadership to a project designed to sustain and grow your crew. Submit the plan to your crew president (or Advisor, if you are president) and explain how you think it will encourage more young people to join Venturing. Participate in service activities totaling at least 36 hours. This is in addition to the 24 hours of service required to earn the Discovery Award. Up to half of the service may be delivered personally; the rest must be delivered through crew activities. Participate in an Advisor conference. As a part of this conference, discuss with your Advisor the challenges you faced and what you learned in fulfilling Pathfinder Personal Growth requirements 5 and 7. *Venturers may, but are not required to share the personal reflection associated with Development of Faith with their Advisor during the Advisor conference, or during a board of review. A Venturer may apply previous Venturing experiences to receive credit for requirements 1, 3 - 6, and 9. 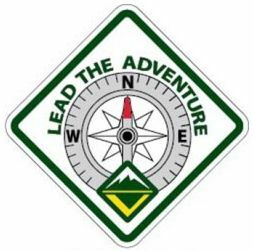 The "Since earning the Discovery Award" portion of requirements 3 and 4a will be waived for Venturers who completed these requirements prior to June 1, 2014.